North Carolina is one of only four states retaining the common law doctrine of pure contributory negligence. Defendants must plead the affirmative defense of contributory negligence or risk waiver. North Carolina Civil Procedure Rule 8(c); but see, Alston v. Monk, 92 N.C. App. 59, 62, (1988) (holding that although the defendants failed to plead the affirmative defense of contributory negligence, the issue was not waived and instead, tried by implied consent of both parties). To prevail on the affirmative defense, the defendant must establish (1) the plaintiff was negligent, and (2) the negligence was a proximate cause of the injuries. Adams v. Mills, 312 N.C. 181, 187, (1984). In a narrow subset of cases, such as where a defendant caused harm with willful or wanton conduct1 or statutory trade practices claims,2 the defense of contributory negligence is not available. For most cases, however, contributory negligence is available as an argument for barring a plaintiff from recovering. Conversely, a defendant’s ability to apportion liability among other alleged tortfeasors is more constrained. North Carolina does not apportion fault between tortfeasors found to be jointly and severally liable.3 The plaintiff is the master of her complaint and can sue all of the defendants at once, pursue them each separately, or only maintain an action against one of multiple tortfeasors. But she is only entitled to one full recovery, and the first judgment is res judicata as to the damage. Bowen v. Iowa Nat'l Mut. Ins. Co., 270 N.C. 486, 492 (1967). By this same principle, a plaintiff’s claim against tortfeasors is reduced by the amount paid by settling joint tortfeasors (or by the amount in the release--whichever is greater). N.C. Gen. Stat. § 1B-4. 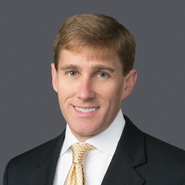 The inability to apportion damages by fault is a boon for plaintiffs, acting as the common law sweet to counteract the bitter of the contributory negligence bar. The ability to recoup all awarded damages from a single party irrespective of fault provides the greatest likelihood of a full recovery. North Carolina defendants have two routes to lessen the blow of the prohibition of apportionment by fault. First, a defendant may rely on contracted-for indemnity and a common law version of indemnity. Courts closely construe contractual indemnity. E.g., Hoisington v. ZT-Winston-Salem Assocs., 133 N.C. App. 485, 516 S.E.2d 176 (1999). A defendant may also seek full indemnity if (1) it was merely passively negligent and the other tortfeasor’s active negligence exposed the plaintiff to harm, or (2) it was derivatively liable through a relationship, such as employer and employee. Hartrick Erectors, Inc. v. Maxson-Betts, Inc., 98 N.C. App. 120, 389 S.E.2d 607 (1990). Indemnity and contribution provide limited avenues of redress for joint tortfeasors. As with most contributory negligence states, however, the first inquiry will be considering whether the plaintiff’s actions contributed to the incident such that he or she is barred from recovery. The threat of a complete bar may incentivize a plaintiff with a potential contributory negligence issue to settle. Likewise, North Carolina’s pro rata apportionment between defendants thumbs the scale towards settlement because a defendant may avoid the fault-blind division of liability that results from a factfinder determining the defendant is jointly and severally liable. On both sides, the stakes of trial are more pronounced than other states, and settlements are perhaps more common in North Carolina than other states as a result. See, e.g., Bailey v. N.C. R. Co., 149 N.C. 169, 175, 62 S.E. 912, 914 (1908); Yancey v. Lea, 139 N.C. App. 76, 79 (2000) (affirming trial court’s finding that Plaintiff had failed to provide the requisite “substantial evidence” of willful and wanton conduct so as to create an issue for the jury (and the possibility of avoiding the contributory negligence bar)). Winston Realty Co. v. G.H.G., Inc., 314 N.C. 90, 95 (1985) (noting that previous precedent established that the defendant’s effect on the consuming public was the relevant inquiry for North Carolina’s (statutory) trade practice actions and, thus, Plaintiff’s contributory negligence was irrelevant and was not a defense to such actions). N.C. Gen. Stat. § 1B-2 (“In determining the pro rata shares of tort-feasors in the entire liability (1) Their relative degree of fault shall not be considered”); see also, Green v. Isenhour Brick & Tile Co., 263 N.C. 503, 506 (1965) (“The mere fact that another is also negligent and the negligence of the two results in injury to plaintiff does not relieve either.”). North Carolina distinguishes between joint liability and joint and several liability. The former is for defendants so closely linked as to make the lawsuits against them indivisible and imposes a requirement of consistent judgments. Joint and several liability is for defendants whose actions combined to create an injury, but whom the plaintiff may treat separately without concern for consistent judgments. Harlow v. Voyager Commc'ns V,348 N.C. 568, 501 S.E.2d 72 (1998). And a defendant may not avoid a contribution action by procuring a release after the judgment for less than his pro rata share. Med. Mut. Ins. Co. v. Mauldin, 137 N.C. App. 690, 700 (2000).